Can This Machine Automatically Sort Balls by Color? A video purportedly showing a "Galton board" apparently sorting balls by color perplexed many viewers. A video shows a device automatically sorting hundreds of small balls by color. 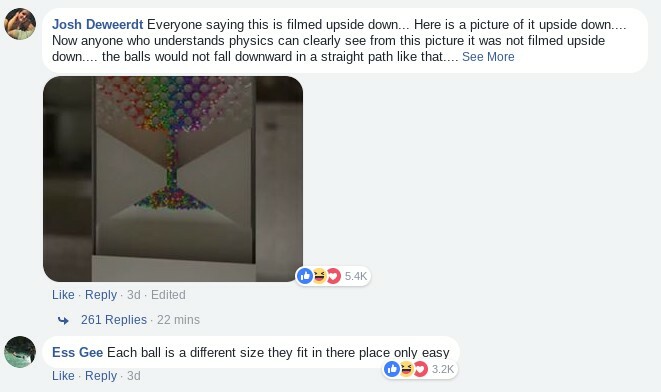 Some viewers theorized that the video (which can be viewed in full below) was actually upside down and and showed colored balls in separate containers falling and mixing together through the machine. Others suggested that the device actually sorted the balls by size, not color. The truth, however, is that this machine doesn’t exist. 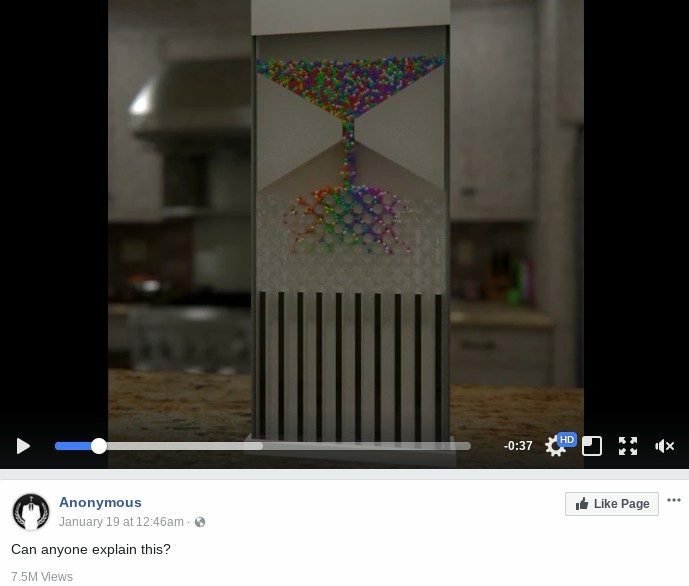 The viral video is a computer simulation that was originally posted to Reddit by “the_humeister.” The Redditor explained that he created this simulation of a “Galton board” (a device used to demonstrate a mathematical theorem) with Blender, an open-source 3D computer graphics software. Run the simulation. Color the balls afterwards. Render from the beginning. A Galton board, also known as a bean machine, quincunx or Galton box, was developed by Sir Francis Galton in the 1800 to demonstrate the central limit theorem.